There is a most unusual incident to report tonight. 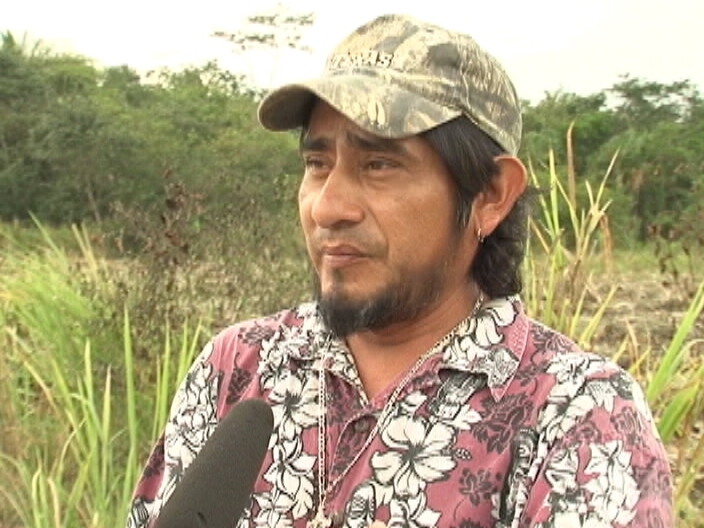 It happened in the village of Douglas in the Orange Walk District last week. 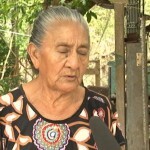 Felipa Sanchez died at the age of eighty-seven back in 1994…so if you do the math, that is twenty years ago. 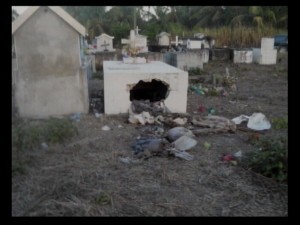 But her family tonight is deeply disturbed that her tomb has been desecrated and her remains exhumed. While police have been called in to investigate, the family is perplexed as to who and why anyone would want to unearth the remains of their loved one. Duane Moody has this story. 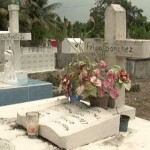 Felipa Sanchez…her body was laid to rest here at Campo: Jardin de Descanso (Garden of Rest) in the village of Douglas in Orange Walk approximately twenty years ago, on November fourth, 1994. But the tomb in which her body was placed was broken into and her remains are missing. 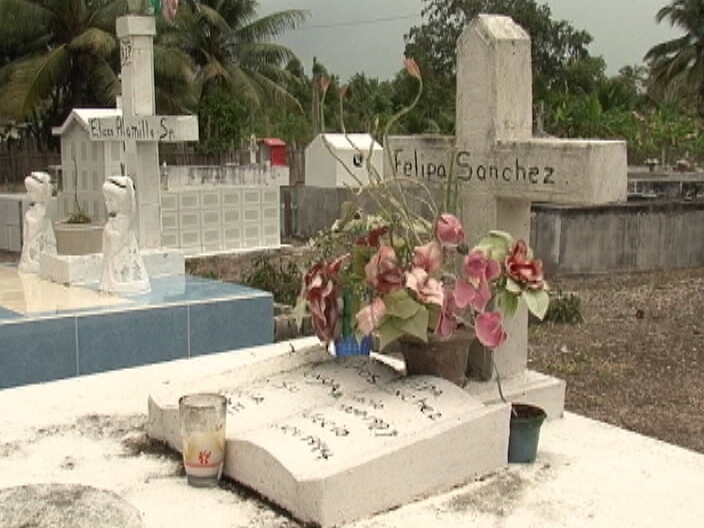 From what we were able to gather, sometime around three a.m. on Tuesday, a loud bang was heard coming from the cemetery but a resident thought nothing of it. It was not until four days later that the discovery was made. 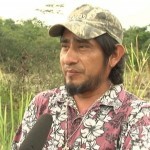 It is the first time that the village has experienced such an incident and for the family, it is surreal because Sanchez died at the age of eighty-seven, twenty years ago. 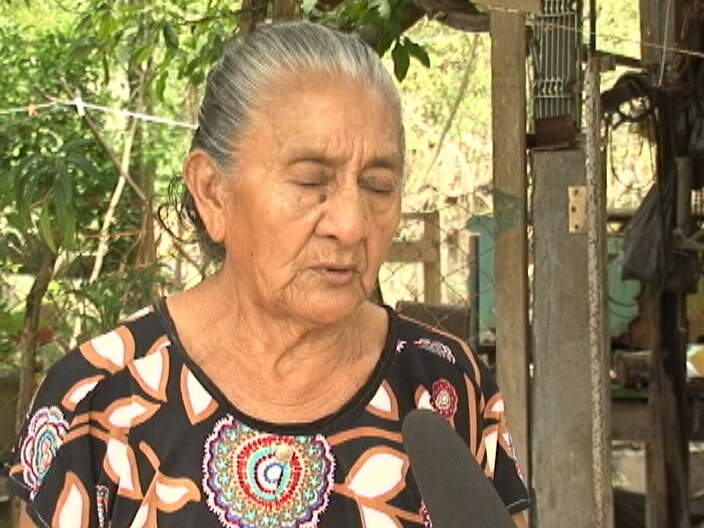 Seventy-seven year old Eulalia Alamilla says she doesn’t know why anyone would want to hurt the family like this. An investigation is currently ongoing. But while a motive behind the bizarre occurrence has not been ascertained, the family says that they don’t believe that it was robbery because she was not buried with jewelry or any valuables. 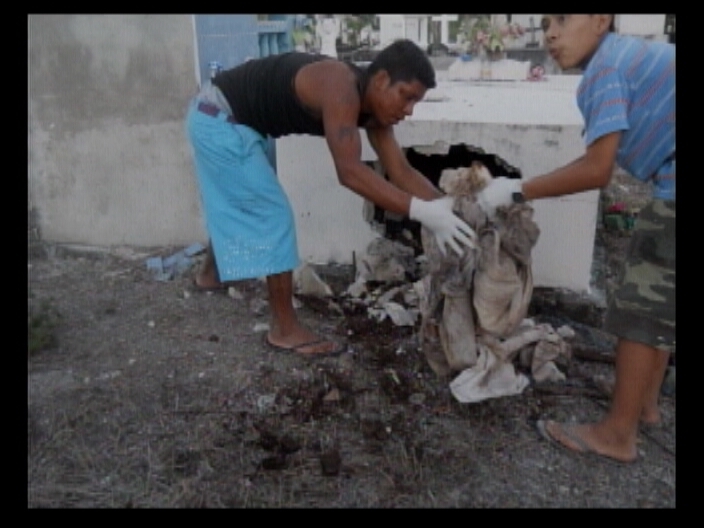 Alamilla says that they are simply waiting for Orange Walk police to come out and do its investigation before they can seal back the tomb. Duane Moody for News Five. The Jewel is steeped in criminal activity even breaking into tombs for bones possibly for WITCH CRAFT! Outrageous. Disrespectful! How low are we getting. 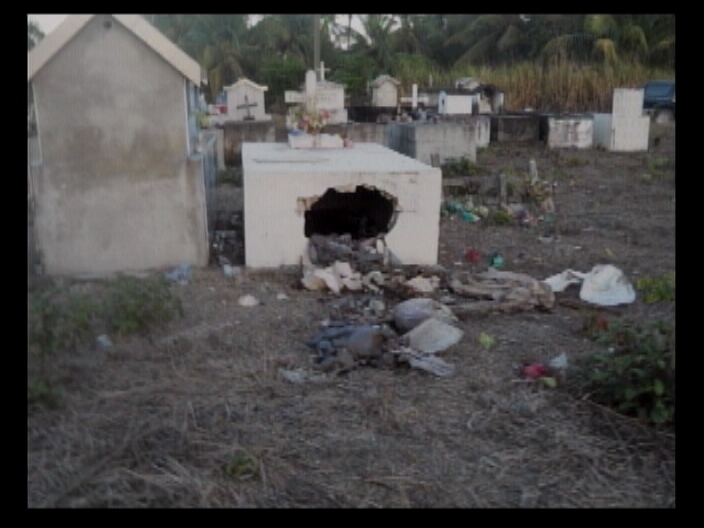 That grave was broken into by someone who knew that the casket was not below the ground. Look close, don’t look far. Check with the so called medical schools in the country to see if they are buying bones. This was done either for money up front or for obeah. It can be that someone is about to be involved in a insurance fraud. Why else would they steal a body from a grave. Granddaughter of former government minister dies in an accident in the U.S.